When most couples are divorcing, the main issue and concern that they have is in relation to finances and how financial matters will be dealt with. 1. I will be the main carer for the children, does this mean I get to keep the family home? Children will find their parents’ separation very difficult to deal with and therefore the Courts always try to keep the children’s routine as undisrupted as possible and therefore look at the children remaining in the family home. It is however important before pushing to remain in the family home that the main resident parent has a full understanding of the running costs and general expenditure. Only in exceptional circumstances will the other non-residing party be required to contribute towards the expenditure. In some cases it may be more suitable to consider purchasing a small property but taking a larger proportion of the sale proceeds. 2. I don’t work will I be able to claim spousal maintenance? It is possible for a Court to make a maintenance order purely for your benefit on top of any child maintenance. This will largely depend on the circumstances of you and your spouse. The Court will need to consider the difference in incomes and why there is such a difference. It is possible for a maintenance order to be made for a set period of time or, although very rare, for life. 3. Can I transfer my assets? You must not in any circumstances transfer any assets whilst divorce and financial proceedings are ongoing with a view of hiding these assets. 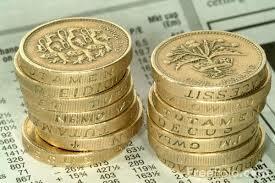 All assets are taken into account when negotiations take place in relation to finances. If disposing of assets occurs without the other party’s knowledge or consent, the Court may take this conduct into consideration when making a decision. 4. If I use a behaviour divorce petition will the behaviour affect the outcome in financial proceedings? Courts are able to take a party’s behaviour and conduct into consideration when deciding on a final financial order. The behaviour and conduct does however need to be substantial for the Court to consider it. It does not necessarily mean that by having a behaviour petition, the Court will automatically take into account the cited behaviour. If you wish to discuss these or any other family law issues, please contact Emma Hartley of Newtons Family team who will be happy to assist.